Ski New Zealand for a great all-round adventure! A NZ ski holiday offers good skiing and snowboarding, great ski towns, fabulous NZ culture, and a huge range of adventure activities. Another drawcard is the awesome scenery. They didn't make the Lord of the Rings movies in New Zealand for nothing! Lots of the NZ locals ski or snowboard, and the NZ ski fields are easily accessible for many Australians. New Zealand also makes a great snow destination for skiing and snowboarding devotees from the Northern hemisphere who need a ski fix during summer. One major benefit of New Zealand skiing is that it is incredibly affordable. The currency exchange works in major favour for most international travellers, making a ski holiday in New Zealand “cheap as chups”! 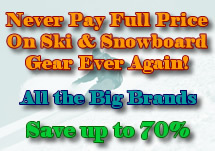 Large commercial ski resorts that have great infrastructure and facilities. Small ski resorts that have mediocre infrastructure and facilities yet are very reasonably priced. Examples include Ohau, Porters and Mt Dobson. NZ club ski fields that are owned and operated by club members but are open to the public. Examples include Craigieburn and Mt Olympus. The club fields generally have very limited facilities and services but have the advantage of providing on-mountain accommodation, uncrowded slopes, and super affordable skiing. The major strengths of the small ski resorts and the club fields are evident in the Powderhounds New Zealand ski resorts ratings where many score full marks for some elements: no crowds; the freshies last a long time; and the skiing is really cheap. The South Island of New Zealand has various high profile ski resorts on the eastern side of the Southern Alps. Mt Hutt ski resort is located near the town of Methven and only 1.5 hours drive from Christchurch International Airport, making it very accessible. Treble Cone ski resort is further south near the town of Wanaka. TC is blessed with more snowfall than other NZ ski resorts and has great terrain for experienced skiers and boarders. Cardrona ski resort is also in proximity to Wanaka and is very well suited to beginner and intermediate riders. The town of Queenstown is world famous for its tourist buzz, adventure activities, and vibrant nightlife. And as an added bonus, the ever popular Coronet Peak ski resort and The Remarkables ski field are close by. Cardrona is also easily accessible from Queenstown. On the North Island of New Zealand is Mount Ruapehu. On one side of the active volcano is the Whakapapa (pronounced Fukkapuppa) resort, and on the other side is Turoa. Both ski resorts attract large crowds from Auckland and Wellington. The North Island also “boasts” Snow Planet in Auckland which is an indoor snow resort – not really an ideal powder hound destination! What’s Unique About New Zealand Snowboarding and Skiing? Unlike North America and Australia, there is no (or very limited) tree skiing in New Zealand. This could be perceived as an advantage to those who have a habit of running into trees, but a disadvantage is that in bad weather there are generally no sheltered areas on the mountain and you are left to the mercy of the weather gods. Some of the resorts have to close during bad weather or at least put some of the lifts on hold. You’ll need to keep your holiday itinerary pretty flexible and consider alternative activities such as bungy jumping! On-mountain accommodation is very rare at the large commercial ski resorts so skiers have to stay off-mountain. Whilst this might pose some inconvenience, the bonus is that the ski towns capture the essence of the New Zealand culture rather than providing a “resortified experience”. The NZ club fields have the best of both worlds. Most club fields have ski-in ski-out accommodation as well as a traditional “skiwi” culture that features a back-to-basics adventure. Another unique aspect of skiing in New Zealand (unless you’ve been on a ski Chile holiday) is the daunting access roads. Many of them are unpaved and lack safety rails, but this just adds to the adventure of skiing in New Zealand! How Does New Zealand Skiing Compare to Australia? Everyone likes to compare skiing and boarding in New Zealand to that in Australia, and even though each resort is different, there are some generalisations that can be made. The first one is that skiing in New Zealand is a little better than in Oz. Generally the NZ ski resorts have better advanced terrain, more snowfall, and the mountains are a little higher and further south, so the snow is more likely to stay in reasonable shape. Like Australia (and many other parts of the world) the quality of the season varies significantly, and they can have years that are pearlers or shockers. Only some of the large commercial resorts have snow making, whilst the others have to rely solely on Mother Nature. The New Zealand ski season generally lasts a little longer than that in Australia. The South Island season generally runs from mid-June to early October, whilst in the North Island the ski season lasts until late October. See our New Zealand ski resort stats comparison for information on the usual opening and closing dates for each NZ ski field. The South Island is renowned for great New Zealand heli skiing. Heli skiing is definitely something that should be on your list of things to do on a NZ ski holiday. Being flown up high in the spectacular Southern Alps is an amazing experience in itself, but getting to ski or board virgin snow makes it an experience to remember forever. Heli skiing in NZ is not just for experts or rich folks. Most operators can tailor an experience to strong intermediate riders and above, and relative to heli skiing in other parts of the world, NZ heli ski packages are very cheap. Choice eh? See our heli skiing New Zealand section for more information. Considering that New Zealand is not a complex country in which to travel, it’s very easy to organise your own itinerary. And by using our search engines to compare prices you can get great deals on flights, car hire, ski insurance and NZ accommodation. For car hire use Oodles, a search engine that provides the best rates on big brands such as Hertz, Avis, Budget, Europcar & Thrifty. Also see our New Zealand travel information page for tips on driving around New Zealand, as well as travel information for flying to and around New Zealand. There is a huge range of accommodation on Powderhounds. Just navigate to the resort or town you want to visit and then to the respective accommodation page where you can check availability, rates & book online. For more information on New Zealand ski resorts and how they compare to each other, see our NZ Ski Resort Comparison page. This includes information on climate, club fields, and mountain statistics such as annual snowfall. Don’t be sheepish – organise your New Zealand ski holiday now. You’ll definitely be able to find yourself a baaaa….gain!